Let us take a break from Miracle Rogue and get ready to be maged with this Freezing Mage with Firebat, the anti-miracle deck. Otter got to Legend #18 with this deck, so credit goes to him. It has lots of spell potential, and delay the game as long as possible with spells like Frost Nova and Blizzard, as well as secrets like Ice Barrier and Ice Block, to be able to hit your opponent on the face with spells. Alexstrasza would make your life easier by setting the health of your opponent to 15. Pyroblast should always be kept for the finishing kill. With the addition of another legendary card, Bloodmage Thalnos, it is possible to deal 18 damage with 8 mana by utilizing both of the Frostbolt and Ice Lance. 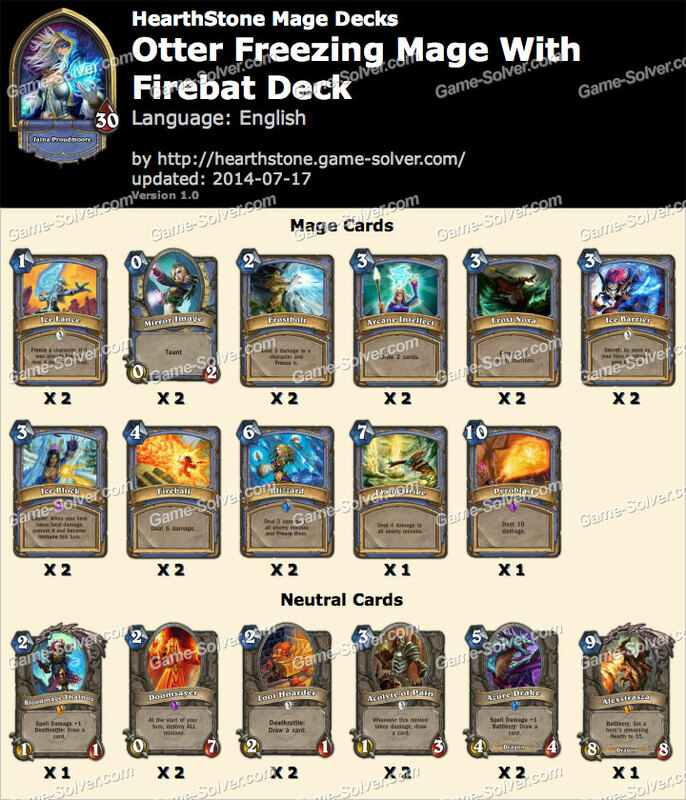 Apart from Flamestrike as a board clearer, Doomsayer plus Frost Nova would be another option for this deck.